Based on the state of our current power grid system, loadshedding has become a necessary evil as it reduces the risk of a national blackout that could take the country a week to recover from. But that doesn't reduce the business impact or lessen the blow, therefore it is critical for business to make alternative power arrangements, one such alternative is the Netshield Inverter / Charger range. 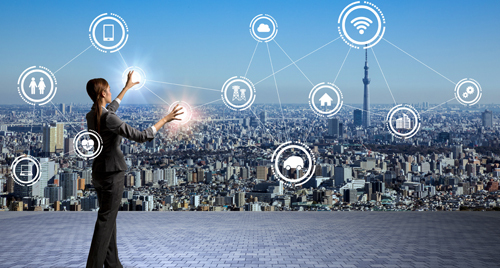 Communication networks can be costly to upgrade, particularly if you are trying to upgrade existing equipment to SFP ports for fibre connectivity or a Power over Ethernet (PoE)network to help power digital and IoT devices. With its range of inexpensive media converters, Netshield is enabling businesses to upgrade their networks without having to “rip and replace” their existing infrastructure. The company has also added a host of new converters to its 2018 line up. High-value logistics companies can now secure their goods in transit with a Cell Lock system from Netshield. With this latest innovation, your business can be assured that high-value and high-risk goods get to their destination safely and securely. Netshield South Africa is pleased to announce that as a result of the finalisation of its recent developments to its Data Centre in a Box (DCiB), the self-contained cabinets (SCC) are now 100% IoT and cloud-enabled.This recent development enables customers to not only take advantage of the SNMP functionality already inherent in the cabinets, but also full AMQP and MQTT capabilities too.